Hope you are all having a wonderful Monday! I know I'm posting kinda late again! I was having a lazy day, that's why! Ryan was off from work and the girls were on Fall break last week, so after a week of family fun, staying up late and then sleeping until 10am, it was really hard for me to motivate myself to get my Monday started. Anyway, I am here now, ready to share with you part of the yumminess we enjoyed last Thanksgiving Day. 1. 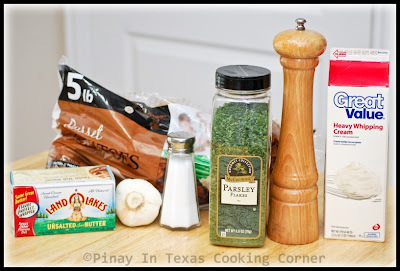 Sprinkle ribs with salt, pepper, garlic powder and onion powder. Let sit in the refrigerator for at least 30 minutes. The longer, the better. Best if done overnight. 2. 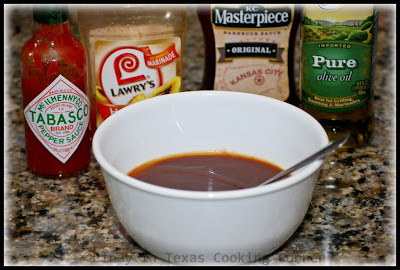 In a bowl, pour barbeque sauce, Hawaiian sauce, Tabasco sauce and 2 Tbsp olive oil. Stir until well mixed. Set aside. 3. Place ribs in a large saucepan and cover with water. Bring to a boil. Remove the scum that will form on top. Add crushed garlic, bay leaves and peppercorns. 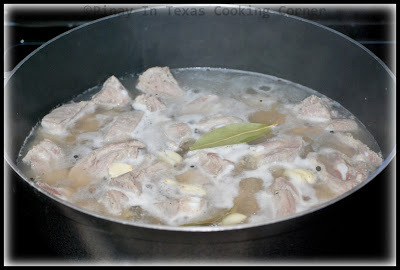 Simmer for about 1 hour or until meat is tender. Drain well. 4. Heat grill to medium. Place the ribs on the grill and baste with BBQ & Hawaiian Sauce mixture. Grill covered for about 7 minutes, then turn and baste the other side and grill for another 7 minutes. Serve hot with mashed potatoes. 1. 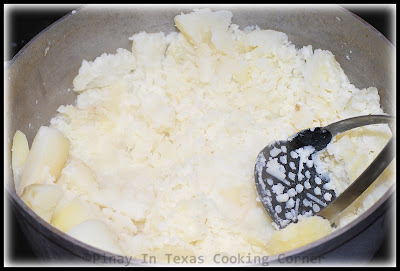 Place potatoes and garlic in a large pot and cover with water. Bring to a boil, and cook for 25 minutes or until soft. Strain the potatoes and garlic into a colander. Return to pan and mash the potato mixture with a potato masher. Place over medium heat. Stir in cream, butter, 1/2 teaspoon salt, and 1/4 teaspoon pepper. Cook for 5 minutes or until thoroughly heated. Keep warm until ready to serve. 1. 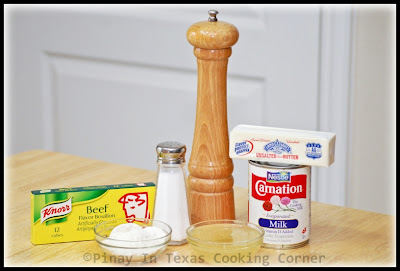 In a saucepan over medium heat, melt butter then stir in flour, beef cube, and pepper. 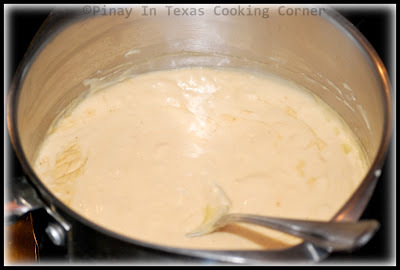 Gradually stir in evaporated milk and water until mixture is smooth. Cook and stir until thickened and bubbly. Serve over hot mashed potatoes. Makes 2 cups gravy. It is really tempting for a veggie like me. 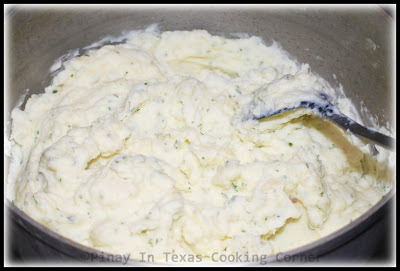 Love that garlicky, creamy mashed potatoes. Love your creamy mashed potato..One food that I could eat literally every single day and yours look just like I not like it but Love it! :)) Gravy, count me in:) and those ribs..are just mouthwatering!!! Nicely done! Have a wonderful week sweetie! 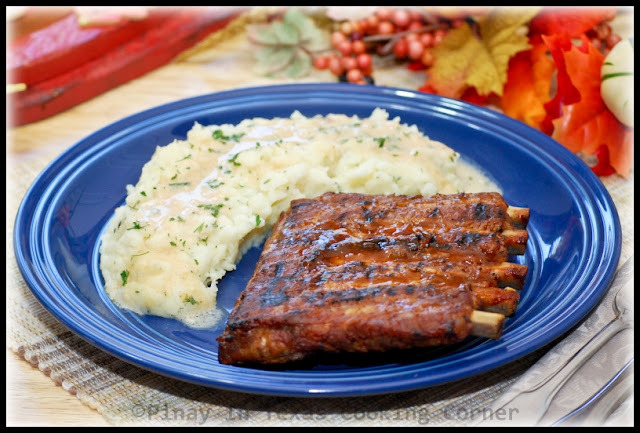 The mashed potato makes me drool and the ribs look so sticky anf yummy! that looks so enticing! 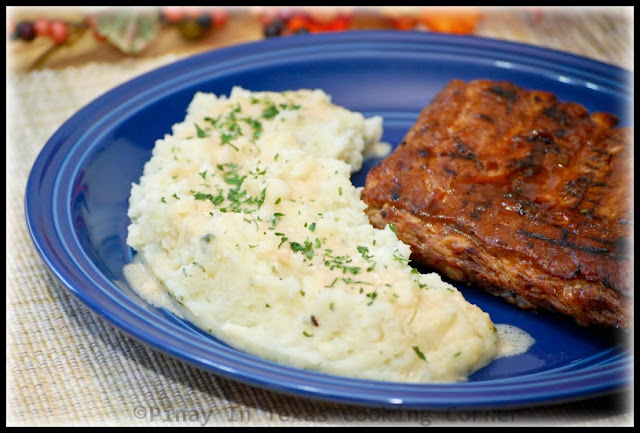 My mouth is watering thinking about those garlicky mashed potatoes :) Love your blog! I'm now following you. Wow, wow and more wow looking a the ribs. Its my fav Tina but since I don't cook pork at home, I always looks to it when eating out and sure the home made one is all the better. Don't mention about potatoes, that I buy by kilos and still we are not tired of it. Oh home comforting meal for sure. Perfect for this time of year. 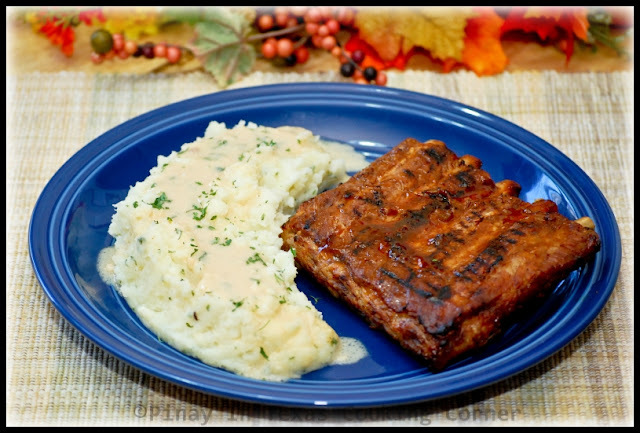 Your mashed potatoes look to die for and I can't wait to try your flavor combination for the pork ribs! YUM! 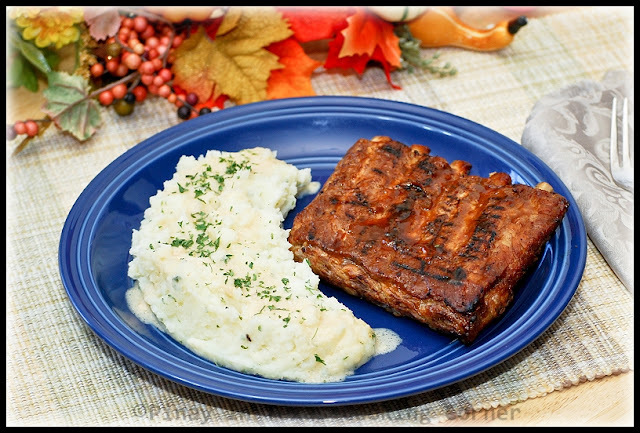 The ribs look terrific, but I'm drooling over the garlic mashed potatoes! Oooh this is my kind of dinner. I would love to come home to eat this! Your family is so lucky!! !